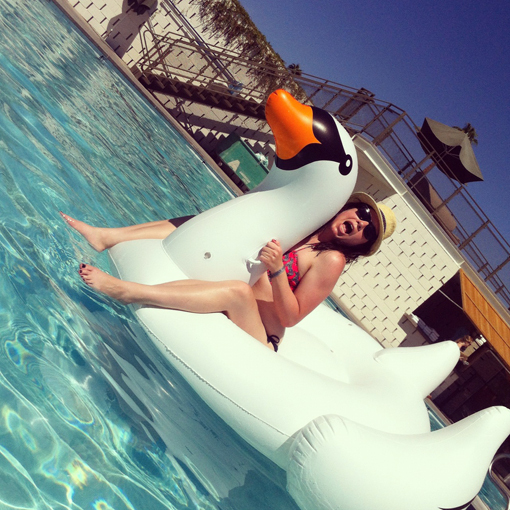 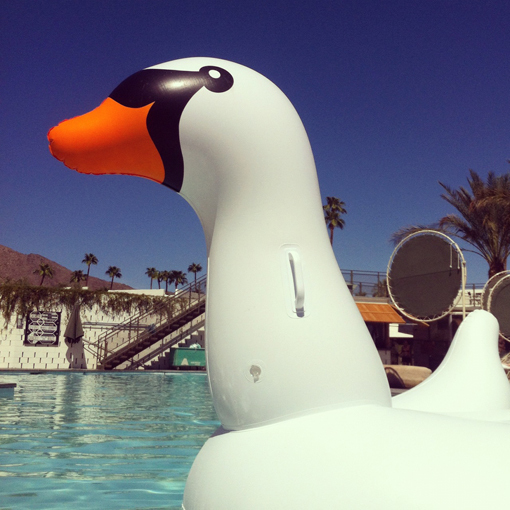 One of the highlights from our trip to the Ace Hotel in Palm Springs, was the giant inflatable swan that we brought with us for the pool. 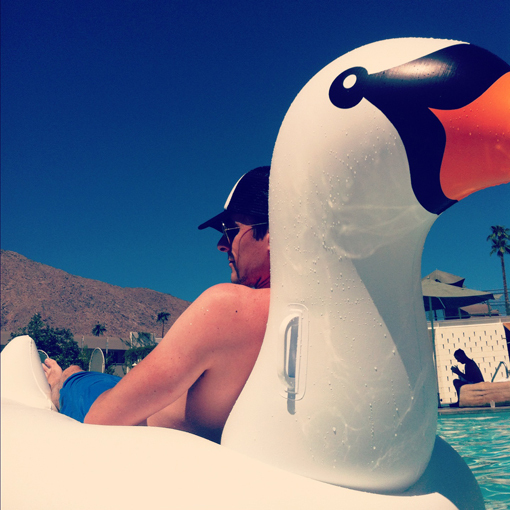 He was the bell of the ball and had everyone asking to take a quick ride and photo opportunity. 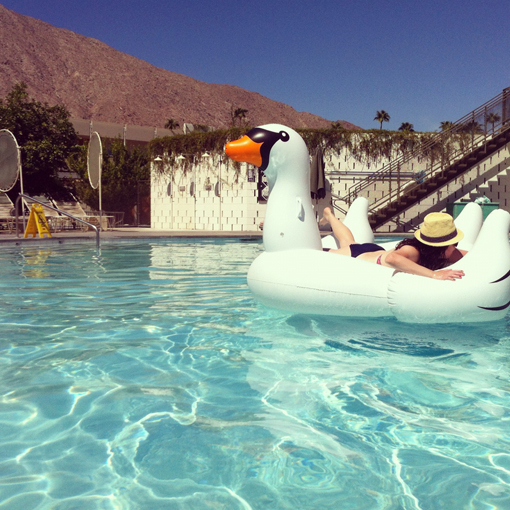 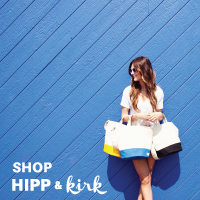 Get a swan for your next poolside vacation here!